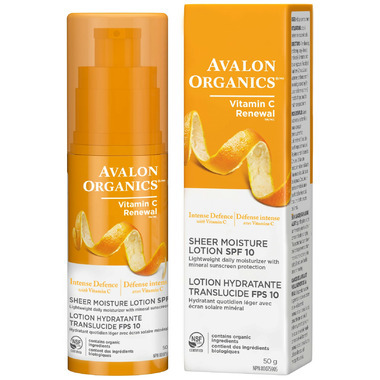 This Intense Defense skincare lotion features a powerful medley of Vitamin C, Lemon Bioflavonoids and White Tea, all potent antioxidants proven to neutralize free radicals before they can cause damage to skin, while allowing the natural protection from collagen and elastin production. Over time, through skin’s natural renewal cycle, damaged skin cells will be eliminated while antioxidants help prevent further damage to new cells. Skin can regain its youthful glow and continue to fight the signs of aging. does not â€˜moisturizeâ€™ and is not a â€˜lotionâ€™ that is easy to apply. It is very difficult to apply foundation after using this product. It feels very much like zinc based sun block. This product brightens my eyes itâ€™s amazing ! I didnâ€™t give it 5/5 because it doesnâ€™t come out of the pump well and it isnâ€™t lightweight like then name (I donâ€™t mind itâ€™s thicker I need heavy moisture around my eyes and on my chest) Love that it has a spf 10. I like this product a lot but I feel they have named it incorrectly. It isn't really lightweight in my opinion. It has a hard time coming out of the pump and on the skin it takes a few minutes to really absorb. Gives a nice luminosity to the skin to. This product leaves my skin very greasy and/or takes up to 10-15 minutes to full absorb. It is also very thick, so it hardly comes out of the pump at all. heavy on my skin and Im happy with the coverage it gives me from the sun. When I wash my face at the end of the day it doesn't irritate my eyes like all the other moisturizer with the harsh chemicals in them.